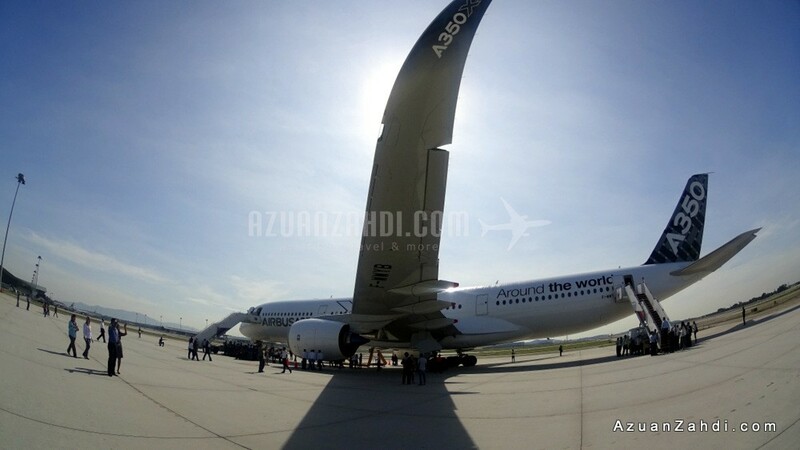 Airbus brand new airliner, the A350XWB has been in town since yesterday. 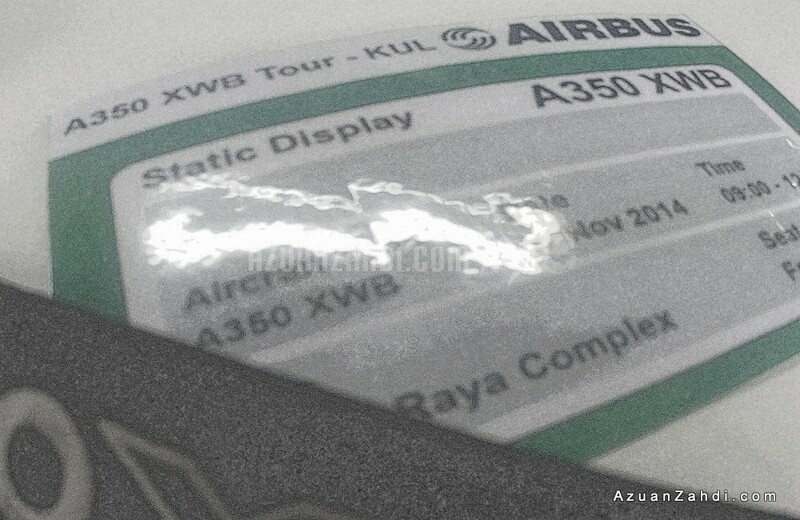 As part of an 11-day demonstration tour of Asia, the Airbus A350 XWB (MSN5) landed in KLIA shortly before noon on 26th November and had a full “PR” day today before it is scheduled to leave tomorrow morning. 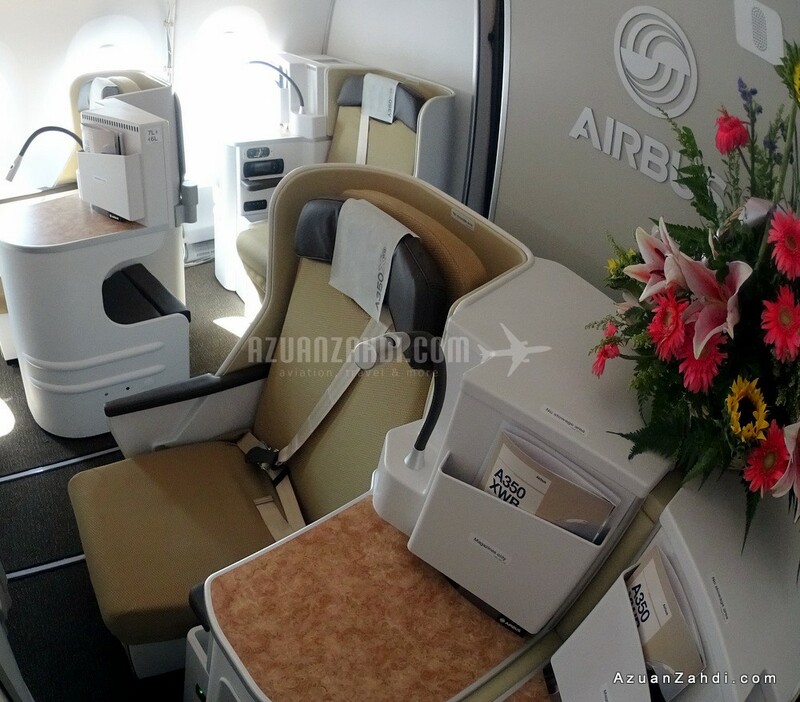 This is the same airplane type that just completed its flight test campaign including a route proving exercise which brought the plane to cities like Hong Kong, Singapore and Perth. 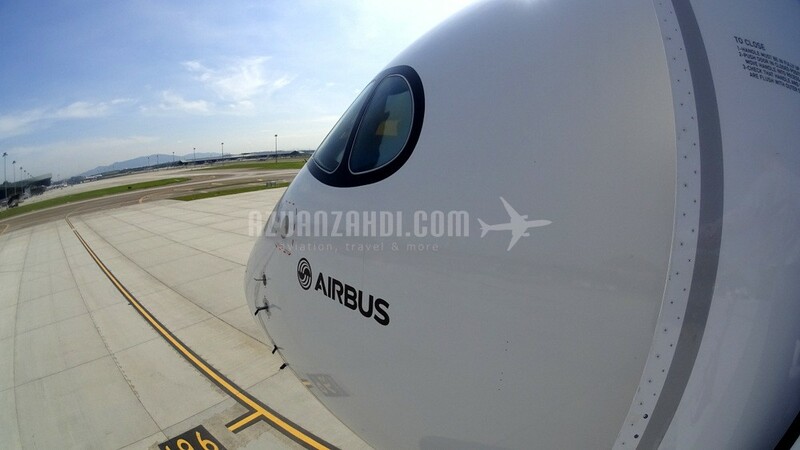 However, this current Asian tour is more of a “sales pitch” kind of tour with Airbus showcasing the A350’s superior credentials to potential customers in Asia-Pacific. 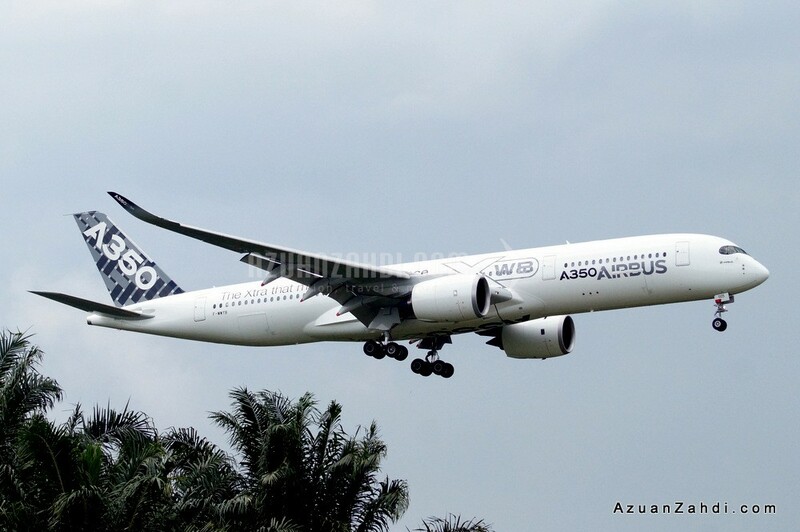 While I am obviously not a “potential customer” to place an order for this plane, I had the opportunity to make a quick trip (sacrificing my lunch time :P) to check out the arrival of the plane as well as a quick tour of the A350-900. 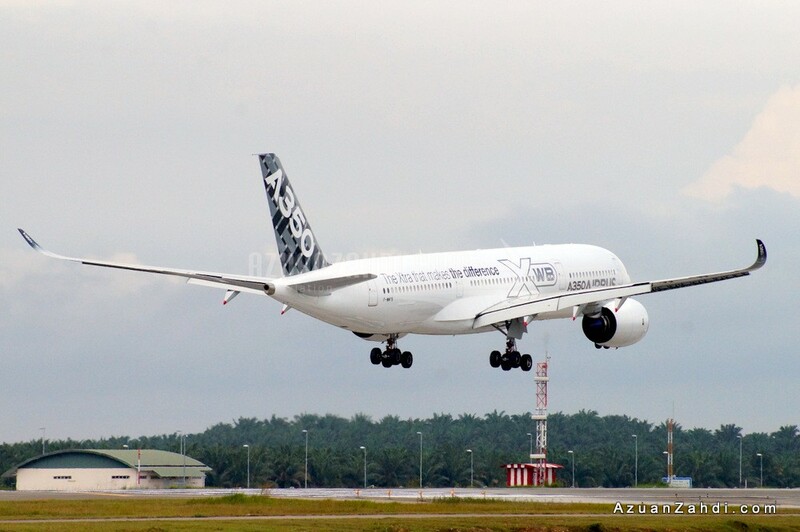 Thanks to FlightRadar24, I managed to catch KLIA’s very first A350 landing along with a few other regular spotters at the end of the runway. 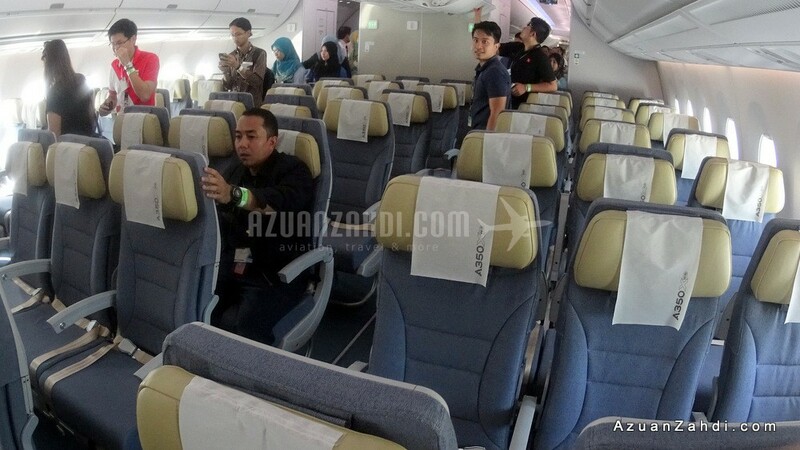 After visiting Seoul, Tokyo, Hanoi and Bangkok, Kuala Lumpur becomes the final leg of this Asian tour. 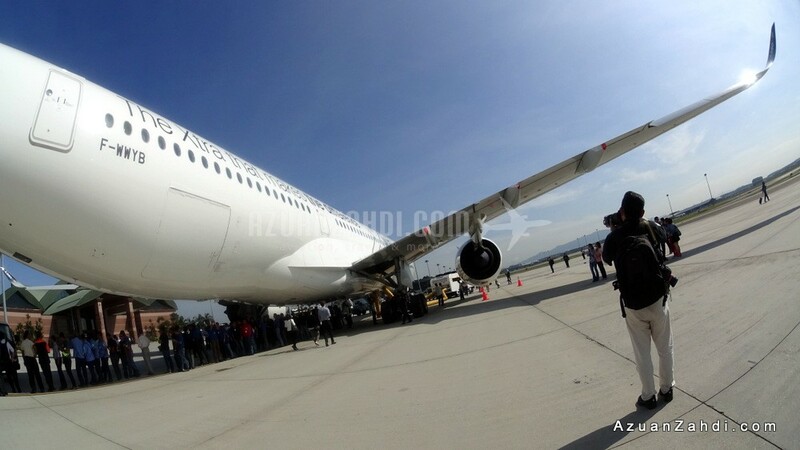 Like many other first flights, it was given a very warm welcome including a water cannon salute. 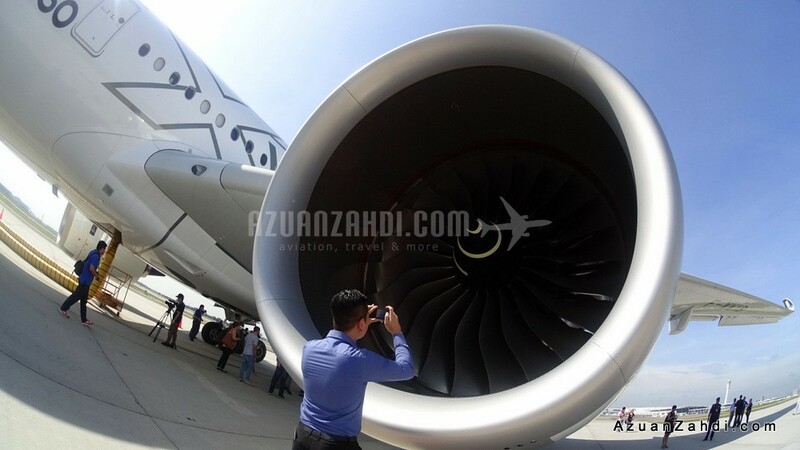 On day two of its stop in KL, I had the chance to have a quick peek at the plane. 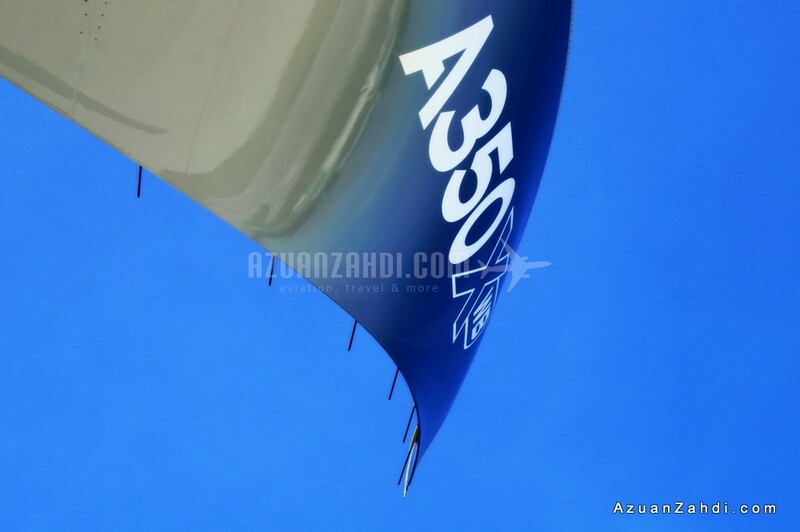 Let’s start with the sexiest part of the A350 WXB which is of course its winglets. 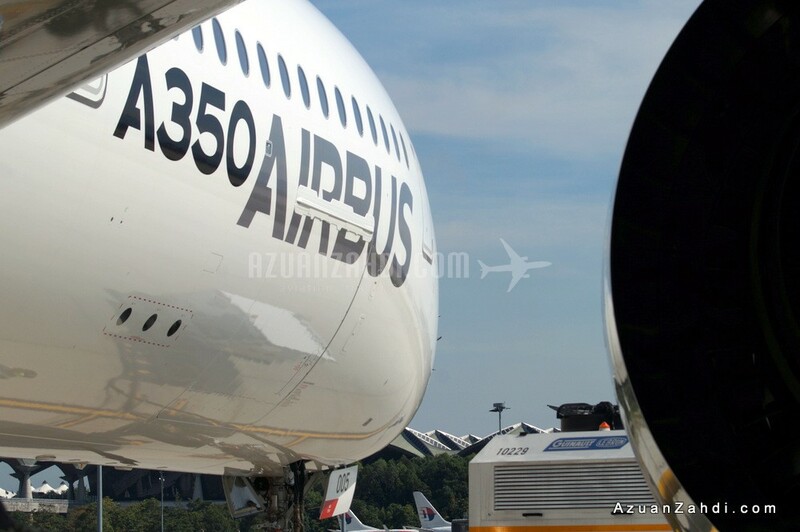 The aircraft has a length of 66.8m, slightly longer than the A330-300. 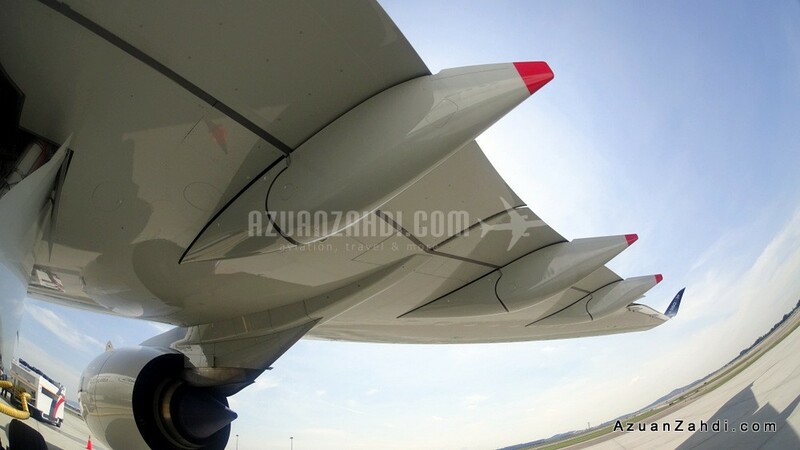 I was informed that that Malaysia has a touch on the design of the FLE panels on the wings so yeah Malaysia boleh! No parts are too small when it comes to making a 190 tonnes machine fly. Guests starting to queue to check out the cabin while aviation enthusiasts took the opportunity of the good weather to snap more photos of the bird. 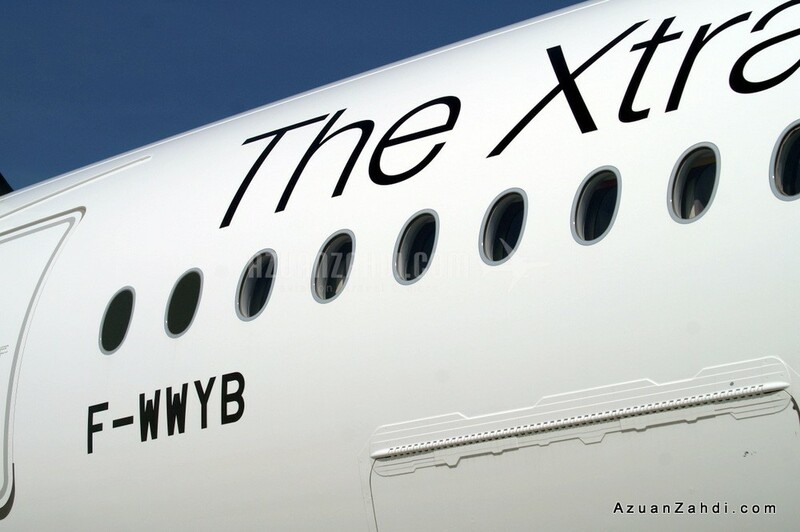 Airbus claims that the A350 XWB has an entirely new, uncompromised, 21st century design with a wider and taller fuselage for extra space and enhanced passenger comfort. 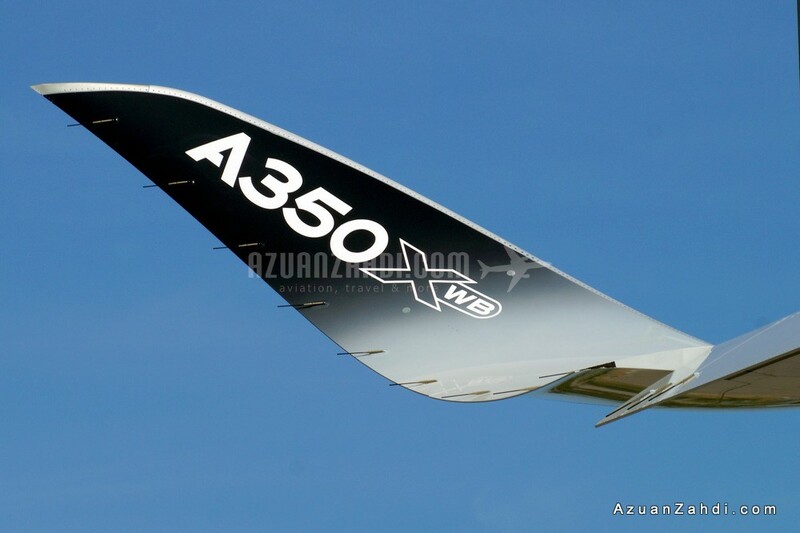 Obviously the final cabin design will be up for airlines to decide but MSN5 has been configured to demonstrate A350’s capabilities to fit 42 business class and 223 economy class seats. Size does matter when it comes to in-flight entertainment. 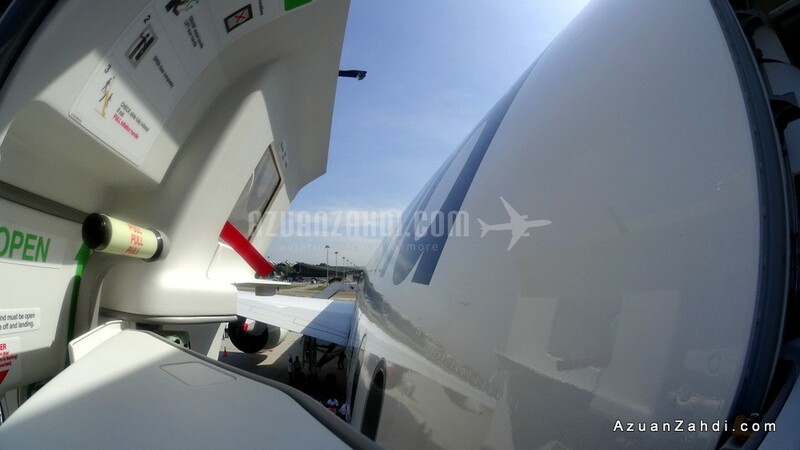 Check out the cool exterior cam. Unfortunately the cockpit is not available for viewing. 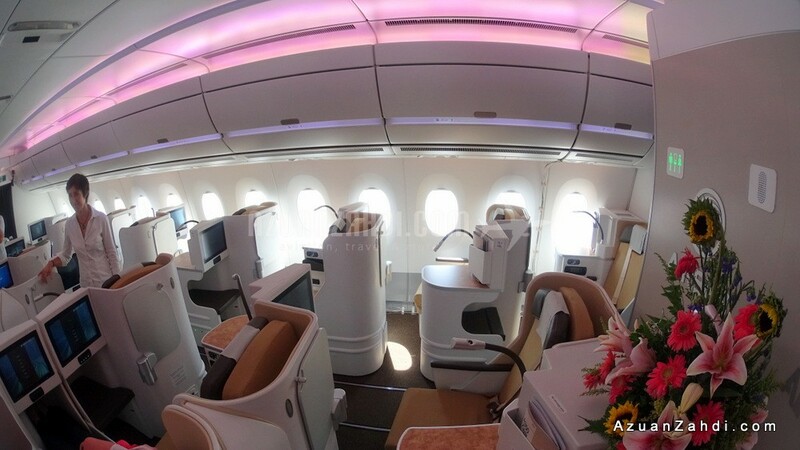 It would be great to see the modern cockpit which reflects what this airplane is – a modern airliner. 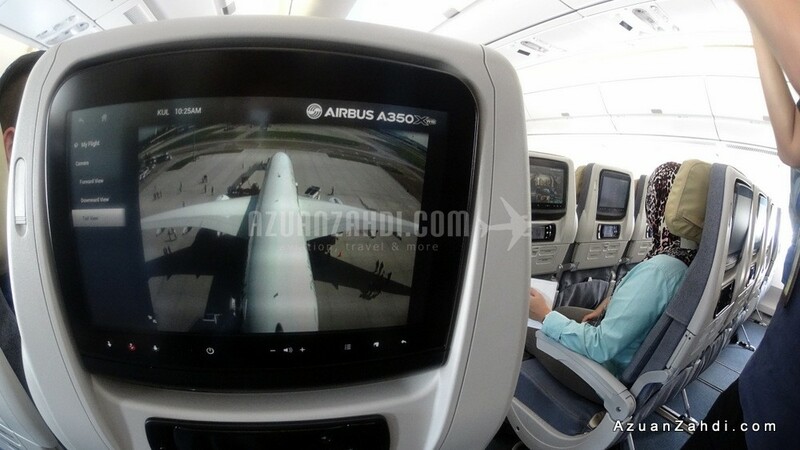 Overall I would say that this A350 is definitely a game-changer for airlines. 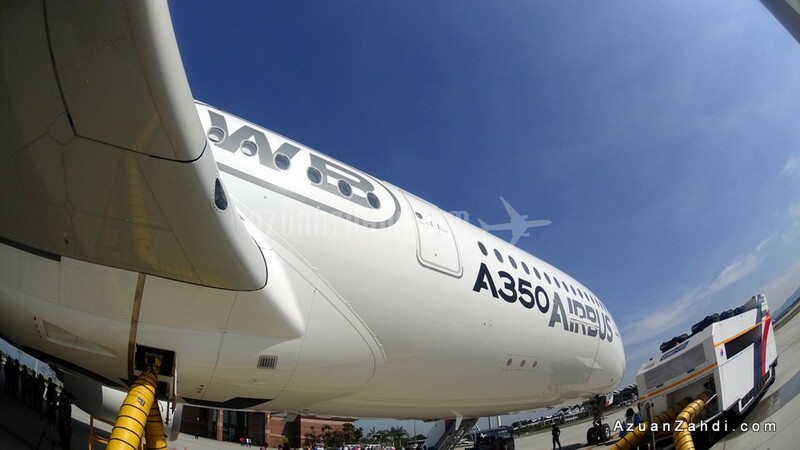 Outstanding operating efficiency together with good fuel economy and comfort for passengers are the ingredients that A350 has to offer to airlines that want to stay competitive in future air travel industry. 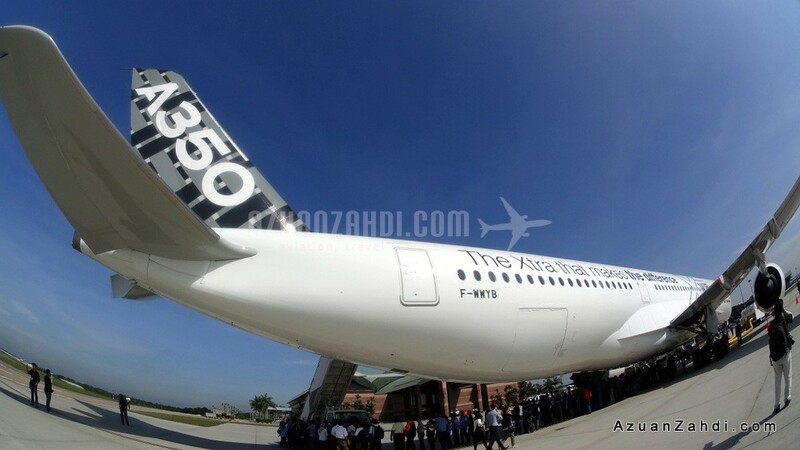 All the best to our local airlines considering to purchase this aircraft. 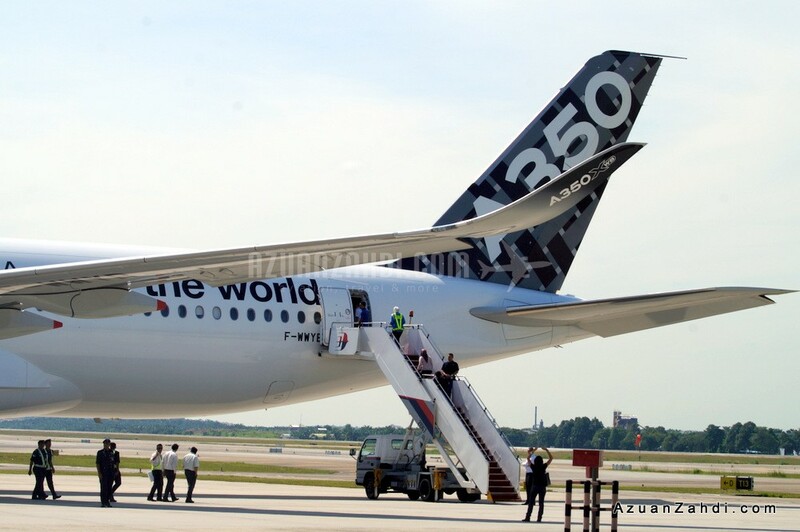 I look forward the opportunity to be on A350’s inaugural commercial flight to and from KLIA, whenever that is going to happen. Very nice! wish I was there to tour it. 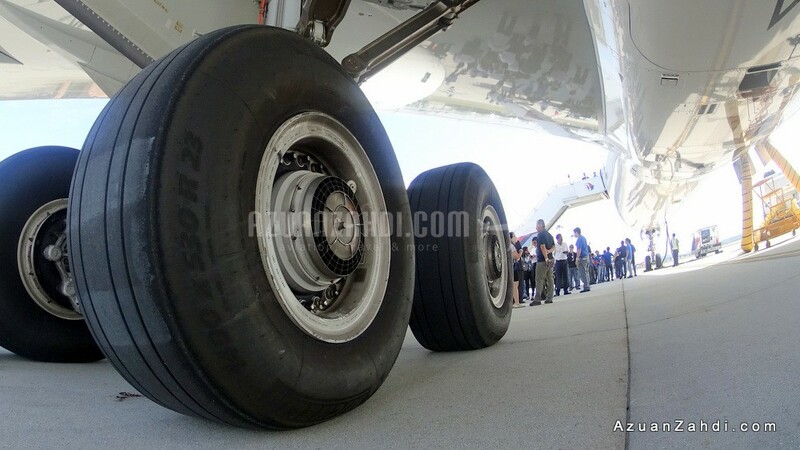 Oh well just gotta wait until MAS or AA get a few of these. Cool pix! 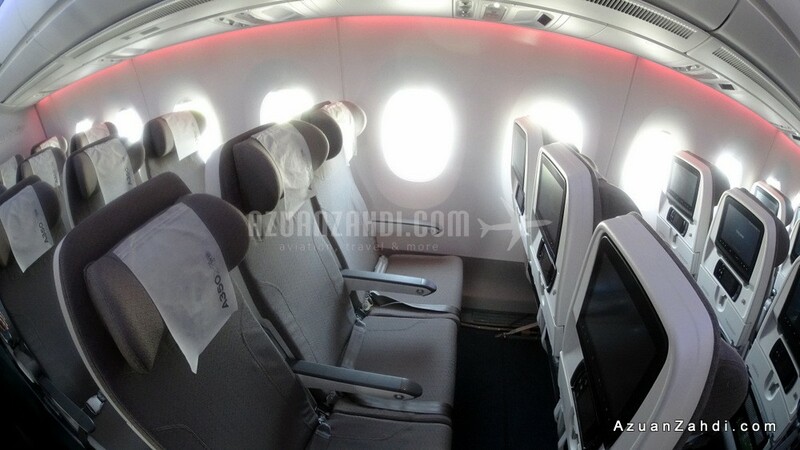 How come there are 2 different types of Economy class seats? Are they comfortable? They look a bit narrow in the photos. 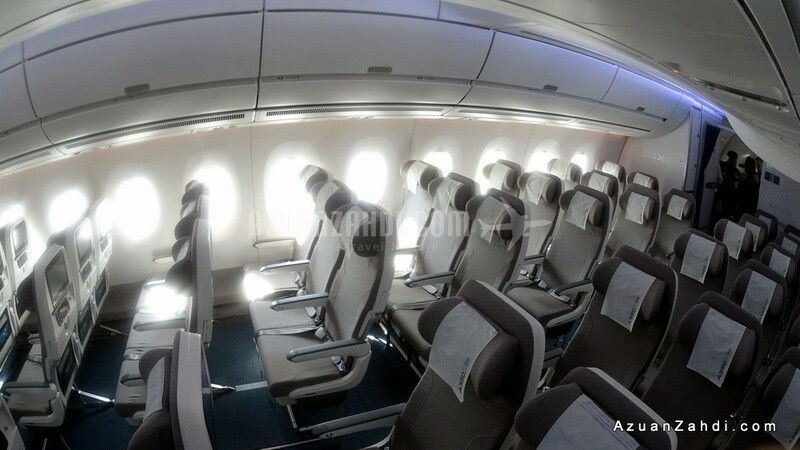 Can’t imagine when airlines reconfigure the seating arrangement into 3-4-3, heh! Economy seat looks small but for me, it doesn’t matter that much (yah, a 100 pound women should not complain about small seat). Anyway, you always have great photos. 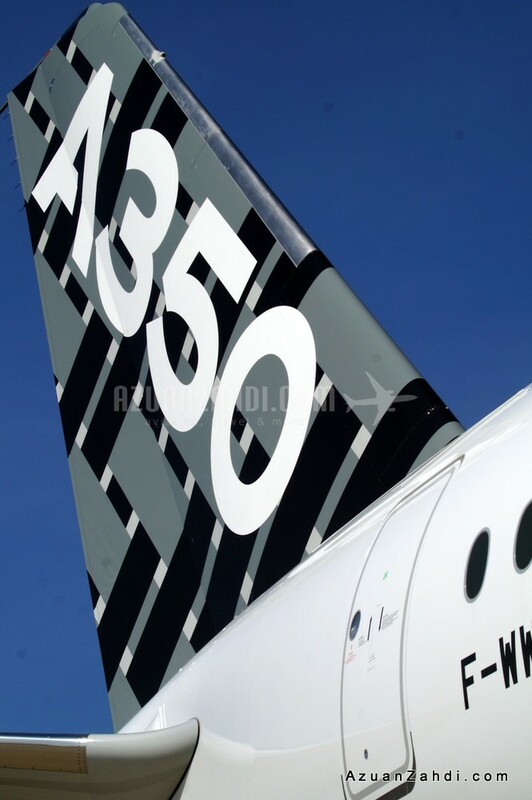 And, this aircraft is seriously beautiful. Especially the wing.